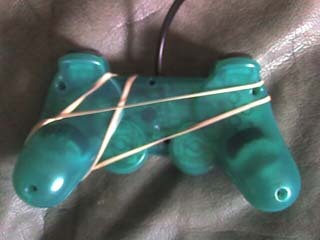 Via, this impressive game-controller trick to be used in Katamari Damacy for getting one million roses. Why do I blog this? this is is a good expression of gamers' creativity to achieve their game goals. I also like the idea of using additional artifacts to act on the game. 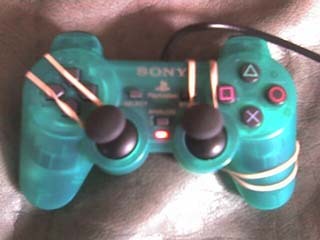 The use of rubber bands is interesting. Would we see some people using a vaccuum cleaner to create huge bubble with the bubble toy in Nintendogs on the DS?